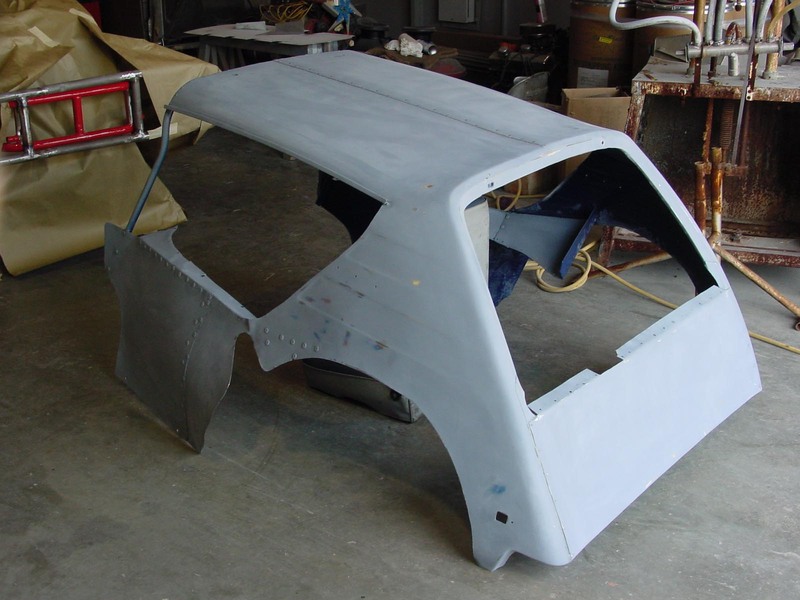 The following pictures show the reconditioning of Russ Smith's #11 Gremlin. 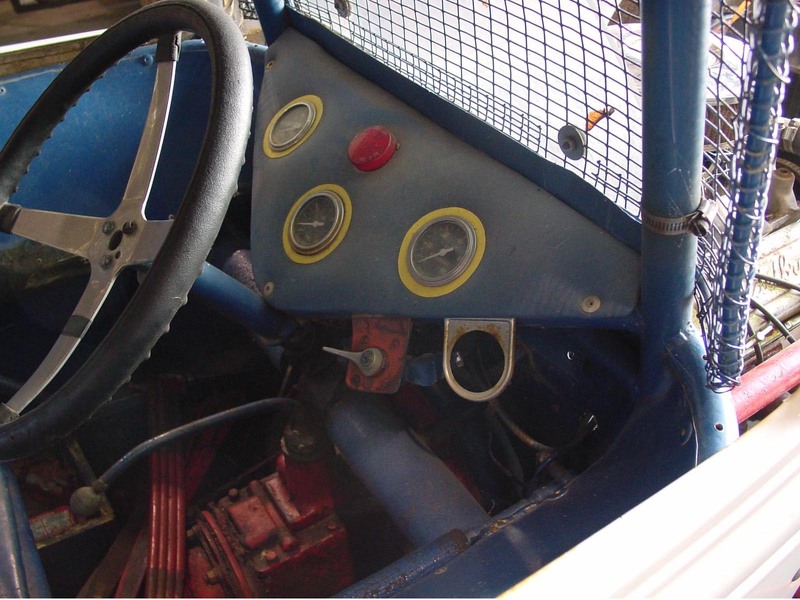 This race car was originally raced at the Reading Fairgrounds. It was also raced at Big Diamond and Grandview Raceways. This is the only original Russ Smith Reading car in existence. 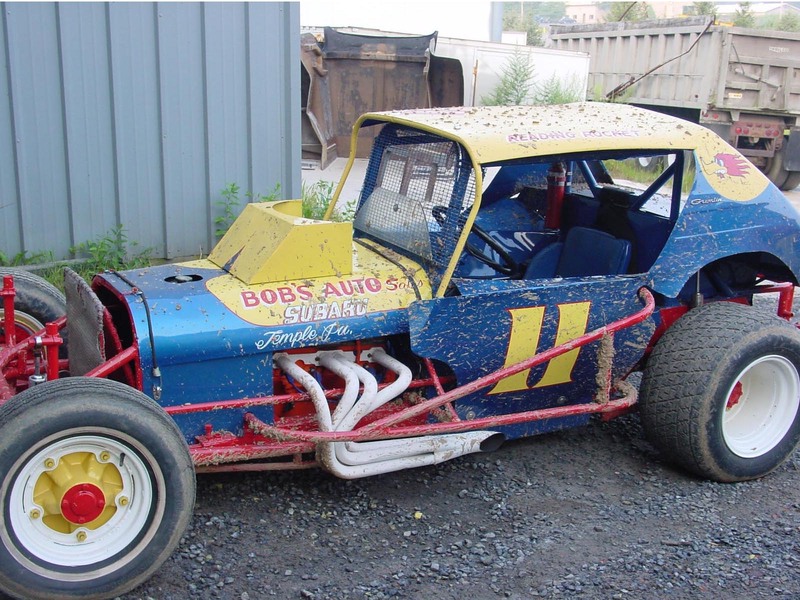 The number 11 car displayed on this site is an original, authentic modified raced at the Reading Fairgrounds. It is one of many cars built and raced by Russ Smith. 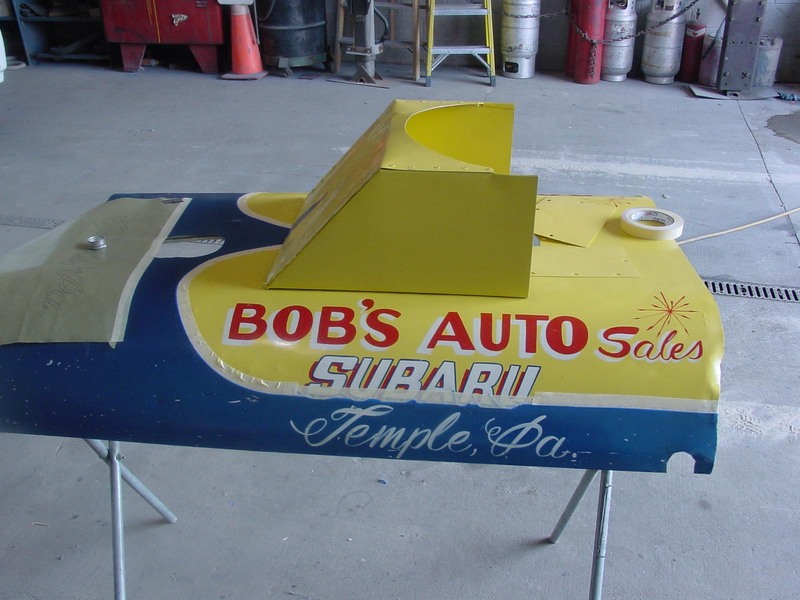 Although Russ built and raced many cars at the Reading Fairgrounds, this is the only original "Reading Rocket" Russ Smith car known to exist. All other known cars have been destroyed and disposed of since the time of racing. The #11 car brings with it a colorful past. 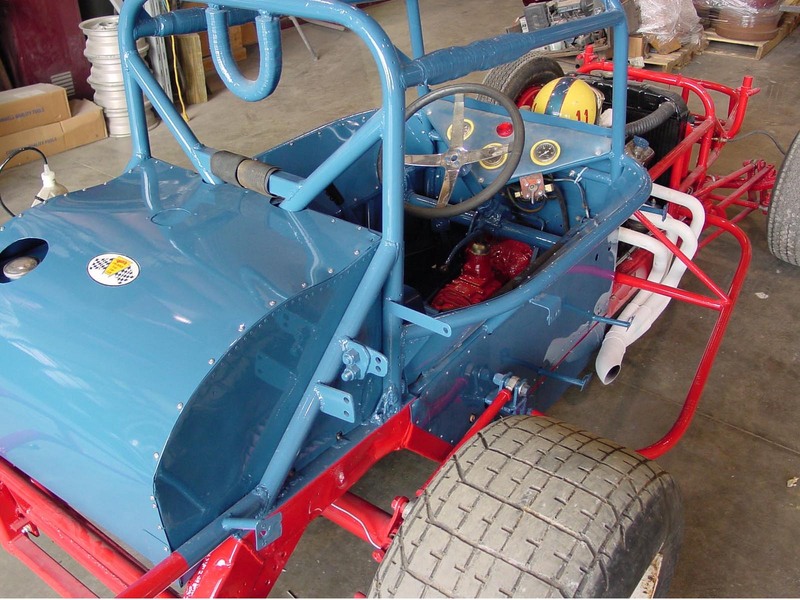 Before Russ raced the #11 car at Reading, the car's chassis was built and run as the #98 car which he raced at Silver Springs in the late 1960's and early 1970's. 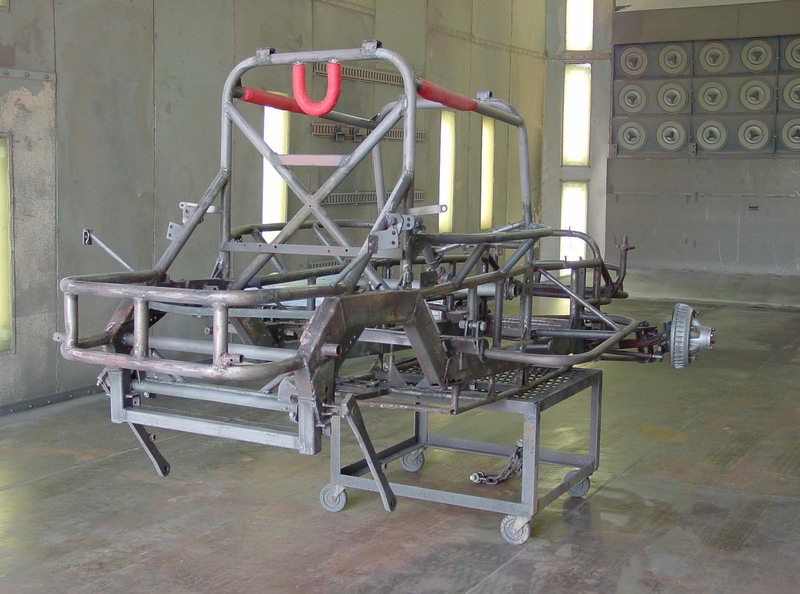 Another interesting fact is that Russ sold the chassis to Buck Crossley back in the 1980's. It was then purchased back from Buck by Mike Grim in 2004. Many thanks to Buck for keeping the chassis intact so the car could be restored to its authentic state. The #11 car could not have been restored without Russ's help. All the components needed were saved by Russ including the 302 Chevy engine to the original body and hood. Even the Gremlin Body was laying behind Russ's shop for years. 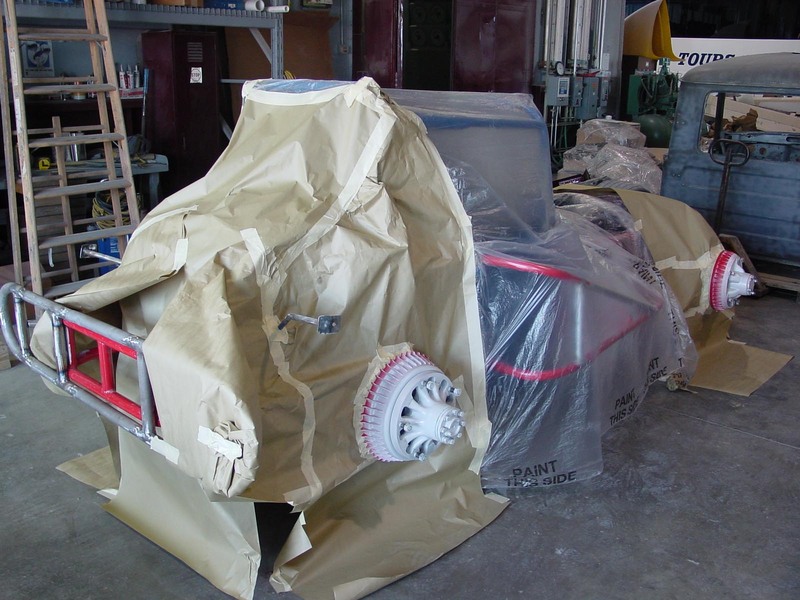 Once all the parts were collected, the restoration process began. 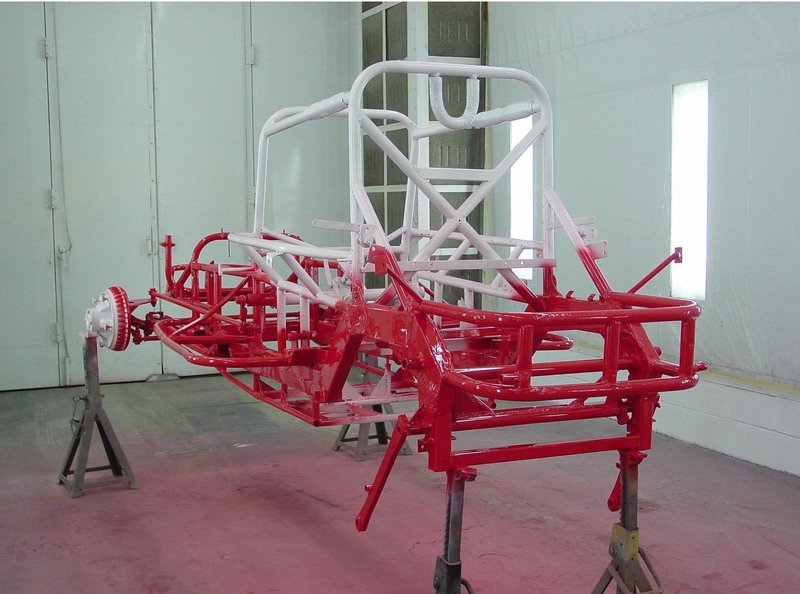 Sandblasting, prepping, and painting proved to be easy; however, it was Russ's expertise and wisdom that determined the location of all the components and their layout. Russ spent quite a few days at Mike Grim's shop coaching, directing, and even working with the restorers to get the process accurate. 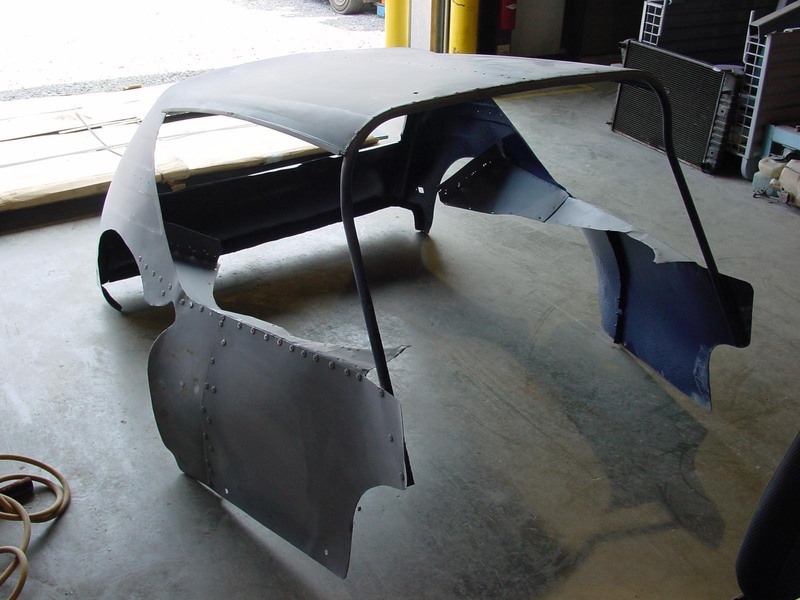 Some of the specifics in the restoration process included the exact body mount brackets and the correct side rub rails. Additionally, the driveline had to be reworked and the linkages and components refit. Hours were spent on the project so that when completed, Russ was satisfied with the finished product. Nothing less than perfect was acceptable by all involved in the restoration process. Russ provided vital information on the correct and incorrect procedures and clarified the workings of each part. 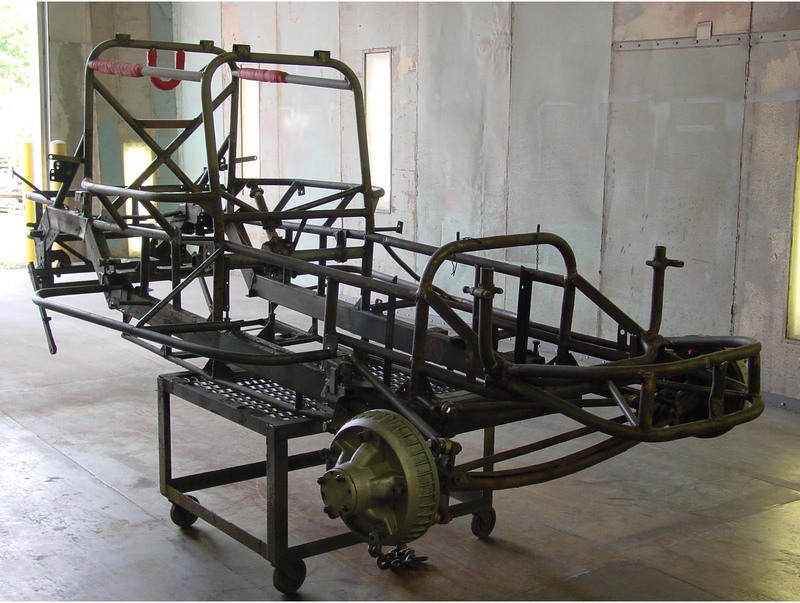 Russ explained that his goal was and still remains to make race cars, not show cars. Mike Grim's cannot begin to thank Russ enough for everything he has done. 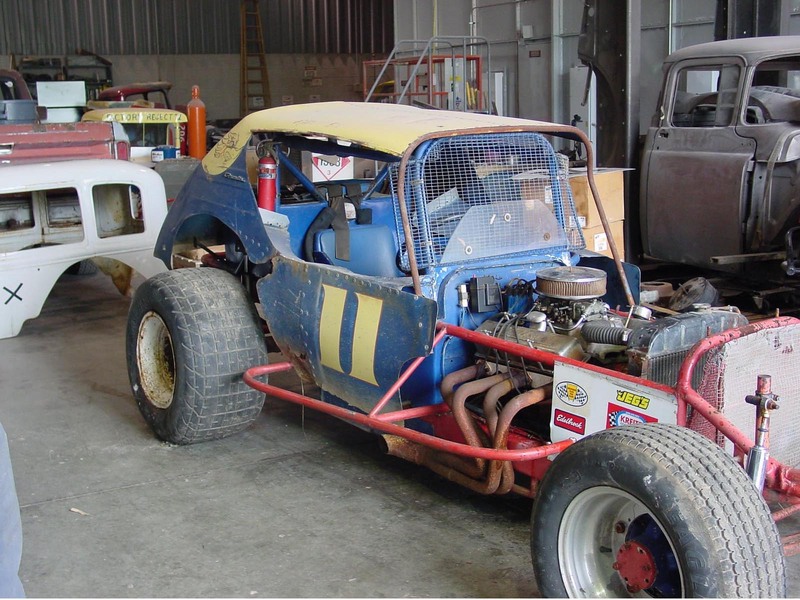 Not only for helping bring the #11 Gremlin back to life, but also for being one of the original drivers that has been instrumental in getting the Reading Fairgrounds Racing Historical Society started. RFRHS is an organization that is all about preserving the history of the Fairgrounds and its heroes like the "Reading Rocket," Russ Smith. Russ started his racing career in 1953. Driving the Blue and Yellow #11, he won 11 track championships, three of those being in 1966 at various tracks. He holds the record at Silver Spring Speedway for 9 feature wins in a row. Racing 16 races at Anthracite Speedway, Russ was in the winner's circle 8 times. At the Reading Fairgrounds, with 23 Flathead victories, Russ holds the record for having the most wins, 6 of those wins being in a row. In 1962, he won 11 features in 19 races. At Grandview Speedway, Russ can be found in the Walk of Fame, and at Big Diamond in the Hall of Fame. Russ lives in the Reading area and is still racing. 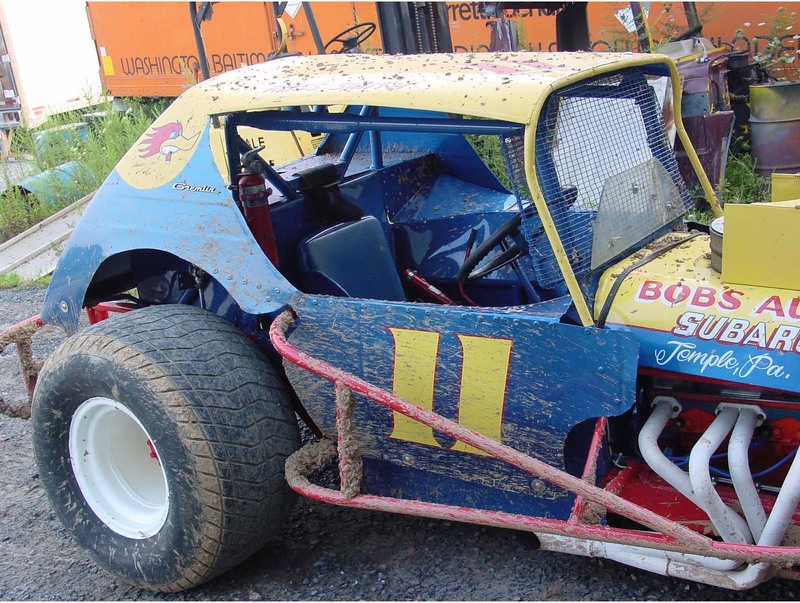 He occasionally races with the Old Timers but he can most often be seen wearing the "Reading Rocket" uniform, behind the wheel of the Blue and Yellow Legends Car #11 Jr. As of January 2005, Russ was inducted into the York County Hall of Fame.